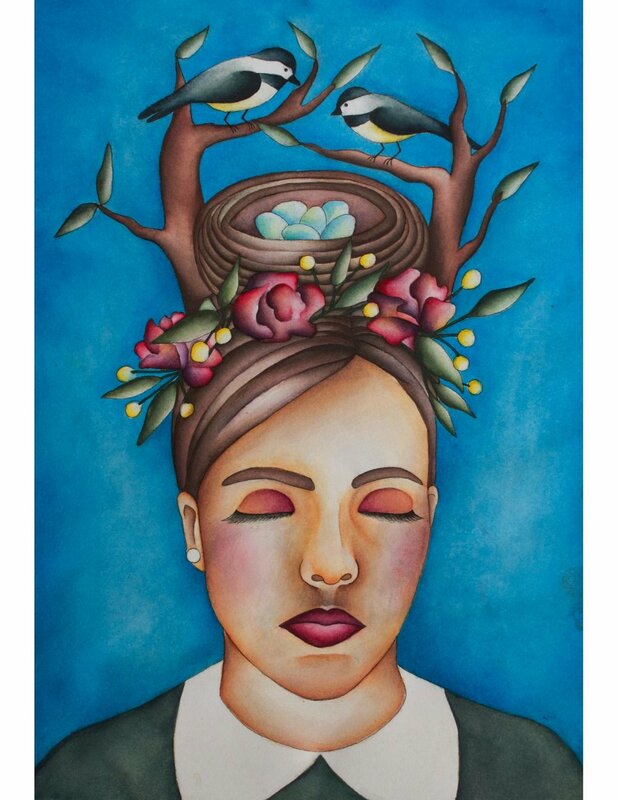 We are pleased to introduce you to a talented, young, Latina artist, Laurel Monsreal. Laura was born in Merida, Yucatan, Mexico and has been raised in the Chicago suburbs. She uses many art mediums, including painting, photography and film. Laura’s commitment to pursing her passions: art, storytelling, women’s empowerment, wellness and spirituality is inspiring. Continue reading to learn more about what inspires Laura’s art, what projects she is currently working on and how arts education has impacted her life! Art to me is important because it helps me express myself, helps my mental health and helps me connect with community. I want my art to express the story that I am trying to express at that moment of my life. My current projects have been about connecting to the divine feminine energy, nature, and spirituality. What is your favorite artwork and/or artist? Art education has impacted my life in many ways. It has helped me express who I am as an individual, made me think about the world and how it works, and helped me learn new knowledge such as principles of design and elements of art. Follow Laura on Instagram and on Facebook. My name is Laura Monsreal. I am a Chicago-based Latina artist. Born in Merida, Yucatan, Mexico and raised in the Chicago suburbs. The relationship I have with art stems from the love of storytelling. I am a versatile artist, who enjoys working with painting, photography, and writing. 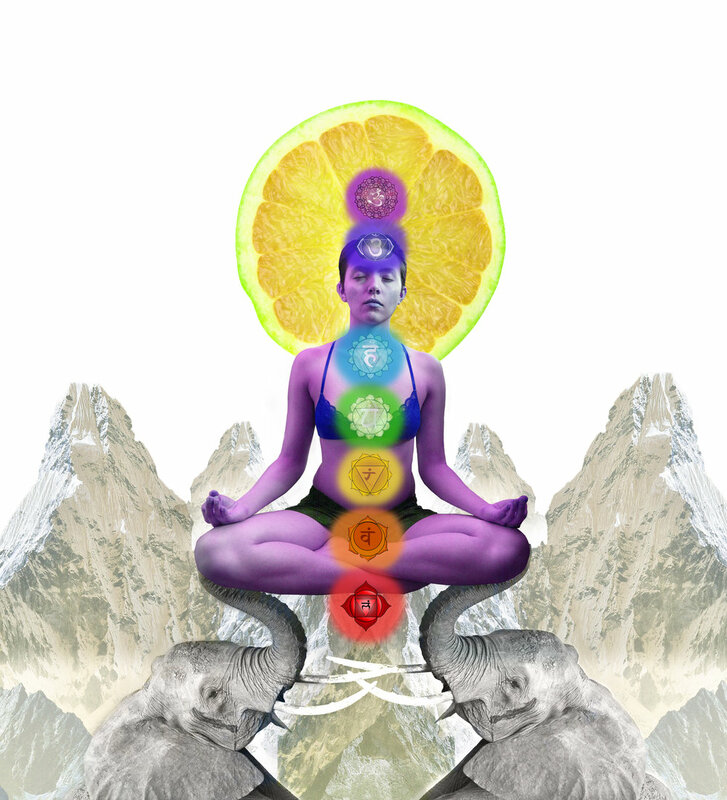 Aside from art, holistic health and wellness are my other passions. Just like art, engaging in movement, mindful eating, and meditation has helped and nurtured my growth emotionally, spiritually and physically. I believe that we must treat our bodies as our own temples. One thing I believe helps in connecting the self to its higher truth is self-love. Incorporating self-love in to our lives is important because we must learn to love, and take care of ourselves first before we can love others. Living in society can feel like such a rush that we often lose ourselves. Through my art, I strive to spread awareness of the importance of self-love. Other themes I focus on are nature, women's empowerment, equality, identity, and spirituality. It is our immense pleasure to introduce you to an amazing, young Chicago-based artist, Lizzie Monsreal. She is a college student with an absurd amount of talent! 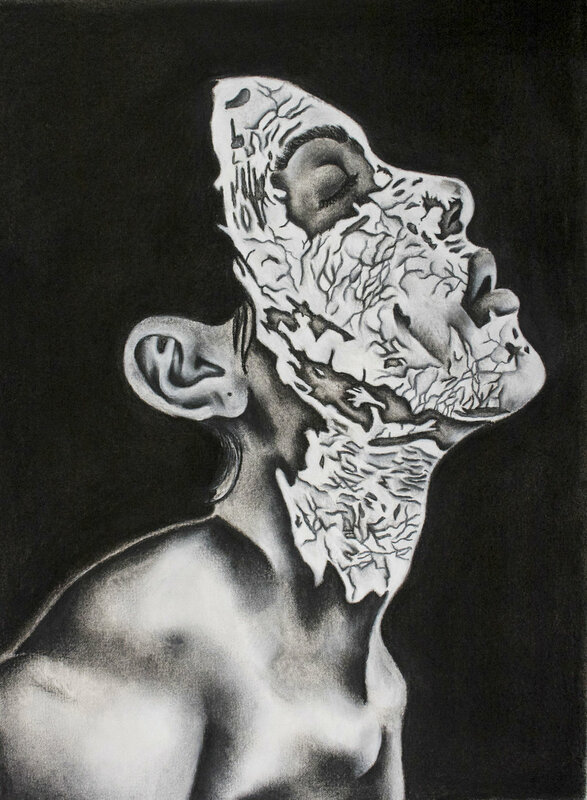 Lizzie is a spectacular visual artist that has experience with a plethora of media including watercolor and charcoal. Most recently, she has been working with textiles. We were thrilled to have the opportunity to interview her to learn more about what inspires her art, what current projects she is working on and how arts education has left an impression on her life and work. One thing we’re absolutely sure of is that whatever medium Lizzie uses she is sure to create magic. Art lets me be able to express my emotions and feelings in the best way through my imagination. Without it, I wouldn't be able to speak in my own voice through art. I want my art to be able to express important topics through my artwork, such as feminism, the environment. I also would like to be able to connect my artwork/experiences with my audience. My recent project right now is a sweater that I am knitting using a knitting machine with local yarn in Chicago. It is so far a prototype, but I am working with colors a lot and texture. That is a hard one! I always find myself loving so many pieces of artwork. I guess one really good one I love would be, The Kiss, by Gustav Klimt. Art education has impacted me in so many different ways as an artist and a person. It has helped me see from different perspectives as an artist and helped me understand all the different medias I can use through my artwork. 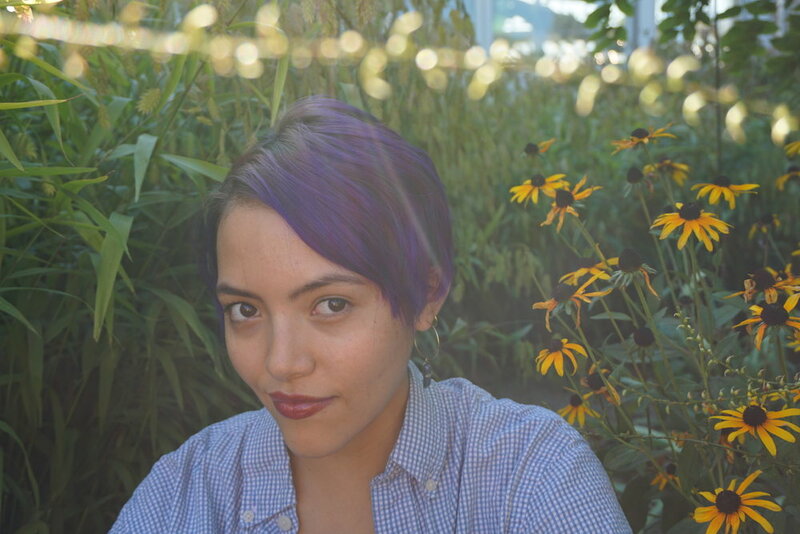 Lizzie Monsreal is a Latina Chicago artist, designer, and writer. She was born in Merida, Yucatan, but raised in Chicago South suburbs. She is currently a student at Columbia College Chicago who majors in Fashion & Costume Design. Other than studying fashion, she is also does freelancing in Fine arts, Illustration, and Writing. Her artwork is focused around personal growth, femininity, feminism, the environment, and anything else she feels needs a voice. We are thrilled to introduce you to the very talented and multifaceted artist, Carman Weathington. She began making jewelry as a creative outlet and since then has expanded her art to painting, drawing, collaging, sewing and handmade note cards. She is truly a woman who exudes creativity in everything she does. She intentionally looks for ways to create and express herself through art and that has manifested itself through many interesting mediums. It was an honor to talk to Ms. Weathington about her art and the inspiration and drive behind her art. We especially loved learning more about how arts education has impacted her life and also the ways in which she is giving back to young artists and arts teachers. Wow! It's important because it's actually for me. It's something that inspires me, feeds my spiritual self and gives me an opportunity to express who I am and how I see the world. Also, it allows me to bring beauty to the world. Originally, I started painting to relax and now it really feeds me. If I don't do it for long periods of time I feel the difference in my energy. I think that creating is connected to grounding us and keeping us human and I think when we consume things it can destroy us in small ways. When we don't create anything, we don't have expression in the world. My art is about giving myself a place in the world to express and share myself. That changes depending on what I'm working on. If I'm doing a series on birds, like I did last winter, it was my way of staying connected to nature. Through the birds I wanted to portray the serenity and beauty of nature. If I'm working on a series of portraits of women in my community, I want to honor their strength, love, pain, tenacity and power. So, it changes based on what my focus is at the time but all of my art is purposeful. Actually, I'm working on a series of dogs. I think they are very beautiful animals and they have enhanced our lives in beautiful ways. Also, I think they are funny, lighthearted and loyal and I want to honor the Year of the Dog in the Chinese zodiac. That was my inspiration for this series of drawings. Arthur Wright and Candace Hunter are a couple who live in Chicago and are both artists. Arthur is an illustrator and does a lot of art on canvas or paper around the rhythm of music. It's really interesting. Candace does a lot of social activism art. Her most recent one was on the lack of water in Africa. She focused on countries that are suffering from water issues. Another artist I love is Jeff Huntington. He created the mural on the exterior of my studio. He is an incredible, realistic artist. I like artists for various reasons but these are three of my favorite, local artists with very powerful work. As a high school student, I had an art teacher, Mr. Smoot, who was passionate about art. It was one of my favorite classes. I also enjoyed Mr. Paulick, who taught classical music. I remember that I was able to connect art and music together because of these teachers. I could remember a piece of classical music by drawing the rhythm and the sound of the music. These classes made all of the other classes tolerable for me. I wanted to be a clothing designer when I was 18 but walked away from that because a school counselor told me that I wouldn't be able to make a living. She urged me to follow a business path and that's what I did. I didn't come back around to art until the age of 45. Art teachers are so important because they can inspire students to pursue their art because art gives an outlet for creativity and expression. It is important to me that I also support other artists. To do this, I mentor young artists and encourage them to pursue their dreams. I will give them space in my studio to show their art. I purchase their art and spend time talking to them about how they can make a living as an artist. Additionally, I've connected with art teachers and have admired the impact that they have on children. So often kids' creativity is squashed and art teachers work in these very restrictive ways. They sometimes have a cart instead of a classroom and yet they still manage to teach a class. I am a huge supporter of art teachers and will often give a portion of my art sales to fund projects that they're working on with their classes. PURCHASE ART BY CARMAN WEATHINGTON HERE! Carman Weathington is a native Chicagoan whose family roots are in Natchez and Tupelo, Mississippi. She comes from a long line of “seers”, “prophets” and ministers. Born with a “veil” on her face, her mom told her that she was a special child, as the veil was considered to be a good omen; a blessing from God and the ancestors. Although Carman’s family was highly spiritual, education was something that they valued greatly. Carman received her Bachelor’s degree in Psychology from St. Xavier University and a Master’s degree in Industrial Organizational Psychology from Roosevelt University. However, Carman was always captivated by creativity, healing and counseling others. Carman has always been intuitive and had a “sixth sense” about people, places and things. After being away from the canvas for over 10 years, Carman rediscovered her love for art. In 2012, she fell in love with art all over again after completing a piece that was previously left unfinished and spending an entire summer painting. She describes her artistic process as “spiritually inspired”. Her work is conceptual; as people will interpret and feel myriad emotions when they experience it. Her desire is that her work will be a source of continual spiritual enlightenment, inspiration and healing for herself and all who view it. Carman is an Artist, Life Coach, Illinois Licensed Massage Therapist , Reiki & Reflexology Practitioner, Tarot Reader, and Jewelry and Note Card Designer. Her creativity continues to evolve. Carman plans to expand herself into the area of public speaking and life skills teaching/seminars.